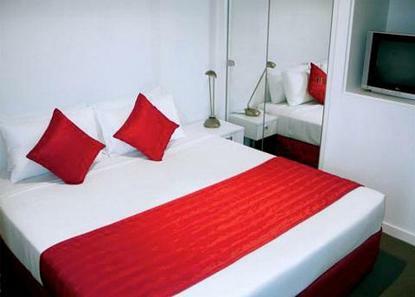 The Clarion Suites Milano on Swanston is in a central location, close to the heart of the dining district of Carlton. The hotel is within walking distance to CBD shopping malls, Queen Victoria Markets, entertainment complexes and several universities. Public transport is available to the door of this property. The Clarion Suites Milano on Swanston offers one and two three bedroom apartments with the latest in luxury and entertainment. Phone Charge: 0.80/call. Parking Charge: 18.00/day.